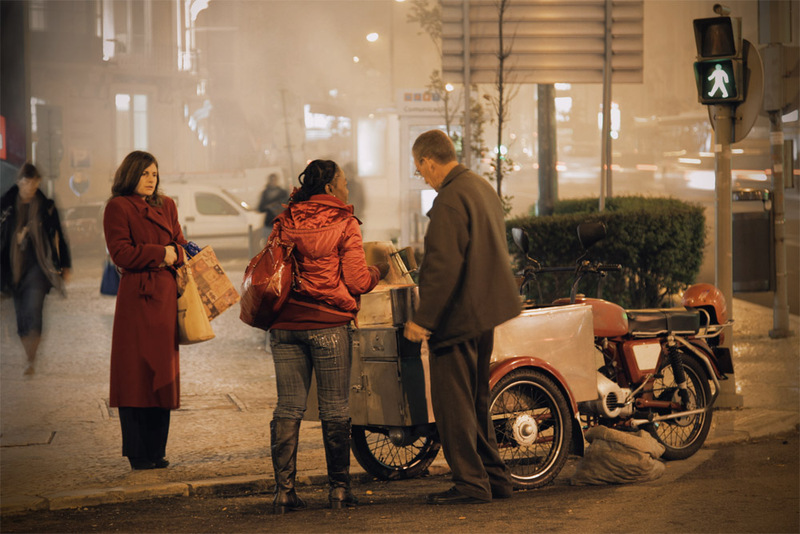 in autumn, lisbon is littered with vendors selling roasted chestnuts (castanhas). they are warm, slightly sweet, the shells are covered in ash, and real tasty. the chestnut roasters are easy to find because of the smoke signals that their carts produce. my favorite carts are these self sufficient hybrid half motorcycle half chestnut roasting machines. i’m surprised they don’t grill fish this way. I absolutely adore roasted chestnuts. I’ve been stuffing myself with them every year in Austria. The sellers were on every corner. This year, unfortunately, I couldn’t go anywhere with chestnuts. Seems the only thing left for me is to buy some and do them myself.